Theresienstadt concentration camp (often referred to as Terezín) was a Nazi German concentration camp during World War II. It was established by the Gestapo in the fortress and garrison city of Terezín (German name Theresienstadt), located in what is now the Czech Republic. The fortress of Terezín was constructed between the years 1780 and 1790 by the orders of the Austrian emperor Joseph II in the north-west region of Bohemia. It was designed to be a component of a projected but never fully realized fort system of the monarchy, another piece being the fort of Josefov. Terezín took its name from the mother of the emperor, Maria Theresa of Austria who reigned 1740–1780. By the end of the 18th century, the facility was obsolete as a fort; in the 19th century, the fort was used to accommodate military and political prisoners. From 1914 till 1918 it housed one of its most famous prisoners: Gavrilo Princip. Princip assassinated Archduke Franz Ferdinand of Austria and his wife on June 28, 1914, which led to the First World War. Princip died in cell number 1 from tuberculosis on April 28, 1918. On June 10, 1940, the Gestapo took control of Terezín and set up prison in the Small Fortress (kleine Festung), see below. By November 24, 1941, the Main Fortress (große Festung, i.e. the town Theresienstadt) was turned into a walled ghetto. To the outside it was presented by the Nazis as a model Jewish settlement, but in reality it was a concentration camp. 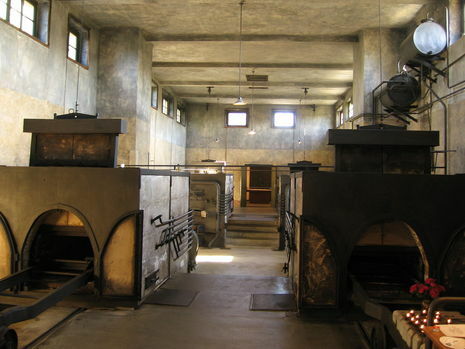 Theresienstadt was also used as a transit camp for European Jews en route to Auschwitz. Dr. Siegfried Seidl, an SS-Hauptsturmführer, served as the first camp commandant in 1941. Seidl oversaw the labor of 342 young men, known as the Aufbaukommando, who converted the fortress into a concentration camp. Although the Aufbaukommando were promised that they and their families would be spared transport, eventually all were transported to Auschwitz-Birkenau in 1943, for Sonderbehandlung, or "special treatment", i.e. immediate gassing of all upon arrival. As in other European ghettos, a Jewish Council nominally ruled over the ghetto. The first of the Jewish Elders of Theresienstadt was Jakob Edelstein, a Polish-born Zionist and former head of the Prague Jewish community. In 1943, he was deported to Auschwitz, where he was shot together with his family. The second was Paul Eppstein, a sociologist originally from Mannheim, Germany. Earlier, Eppstein was the speaker of the Reichsvereinigung der Juden in Deutschland, the central organization of Jews in Nazi Germany. In the course of the liquidation transports in autumn 1944, when some two thirds of the ghetto population were deported to Auschwitz, Eppstein was shot in the Small Fortress. He died on Yom Kippur, the holiest day in the Hebrew calendar, after he informed the deported people what was awaiting them in the "East". Benjamin Murmelstein, a Lvov-born Vienna rabbi succeeded Eppstein. His popularity in the ghetto was similar with the one of the SS command. In the last days of existence of the ghetto, rabbi Leo Baeck served as the Elder. In 1943 to 1945, he was the speaker of the Council of Elders of Theresienstadt, after being deported from Berlin, where he served as the head of the Reichsvereinigung der Juden in Deutschland. This camp was established by the head of the RSHA and Reich Protector for Bohemia and Moravia, Reinhard Heydrich. It soon became the "home" for a great number of Jews from occupied Czechoslovakia. The 7,000 non-Jewish Czechs living in Terezín were expelled by the Nazis in the spring 1942. As a consequence, the Jewish community became a closed environment. On May 1, 1945, control of the camp was transferred from the Germans to the Red Cross. A week later, on May 8, 1945, Terezín was liberated by Soviet troops. Many of the 80,000 Czech Jews who died in the Holocaust were killed in Theresienstadt, where the conditions were extremely difficult. In a space previously inhabited by 7,000 Czechs, now over 50,000 Jews were gathered. Food was scarce and in 1942 almost 16,000 people died, including Esther Adolphine (a sister of Sigmund Freud) who died on September 29, 1942; Friedrich Münzer (a German classicist), who died on October 20, 1942. Medicine and tobacco were strictly prohibited; possession could be punished by hard labor or death. Men and women were officially forbidden to meet, or to communicate with a Gentile without German permission. 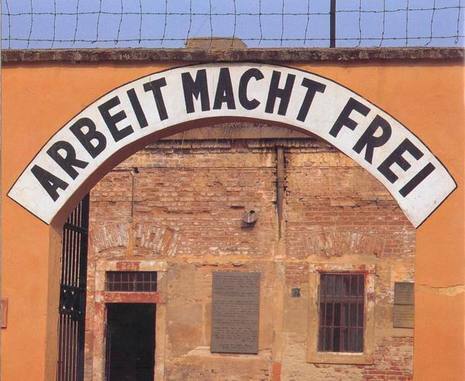 Theresienstadt supplied the German war effort with a source of Jewish slave labor. Their major contribution was the splitting of mica mined from local Czechoslovakia. Blind prisoners were often spared deportation by assignment to this task. Others manufactured boxes or coffins. Others sprayed military uniforms with a white dye to provide camouflage for Nazi soldiers on the Russian front. 456 Jews from Denmark were sent to Theresienstadt in 1943. These were Jews who had not escaped to Sweden before the arrival of the Nazis. Included also in the transports were some of the European Jewish children whom Danish organizations had been attempting to conceal in foster homes. The arrival of the Danes is of great significance as the Danes insisted on the Red Cross having access to the ghetto. This was a rare move, given that most European governments did not insist on their fellow Jewish citizens being treated according to some fundamental principles. The Danish king, Christian X, later secured the release of the Danish internees on April 15, 1945. The White Buses, in cooperation with the Danish Red Cross, collected the 413 who had survived. On February 5, 1945, the SS chief Heinrich Himmler allowed a transport of 1,210 Jews from Theresienstadt, most of them originating from the Netherlands, to Switzerland. According to an agreement between Himmler and Jean-Marie Musy, a pro-Nazi former Swiss president, the group was released after $1.25 million were placed in Swiss banks by Jewish organizations working in Switzerland. 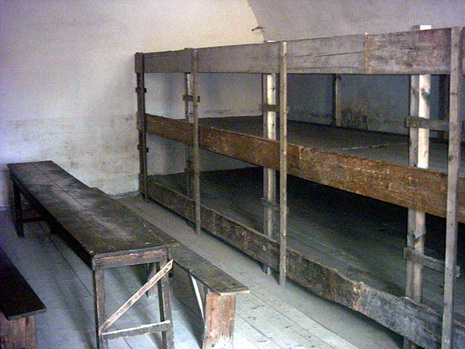 After the victory of the Allies in 1945, Theresienstadt was used by Czech partisans and former inmates to hold German SS personnel and civilians as retaliation for their atrocities.